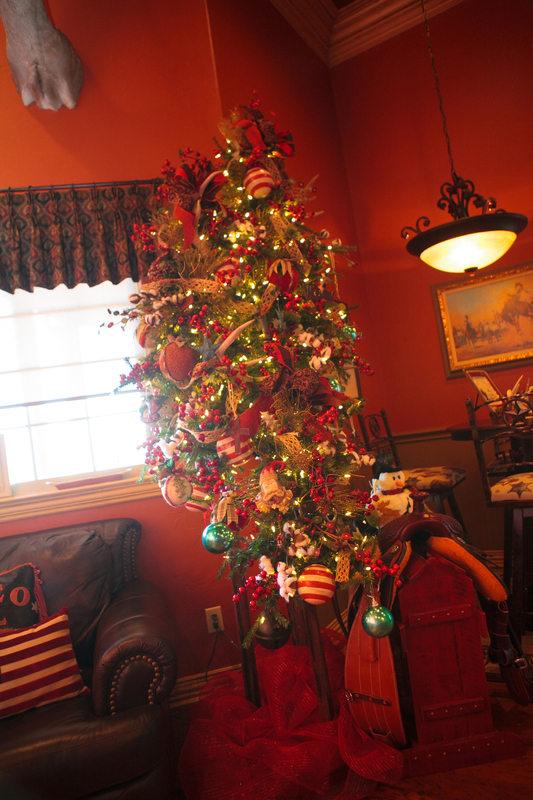 Show Me Decorating your largest Christmas decoration, the Christmas tree! 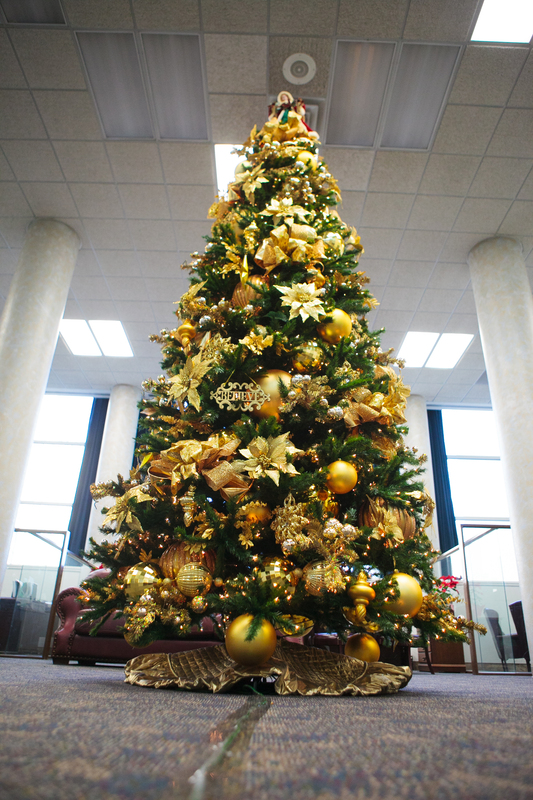 Royal Red and Gold Christmas Tree Theme, the Show Me Decorating tips and techniques will help you decorate your largest Christmas Decoration the Christmas Tree. 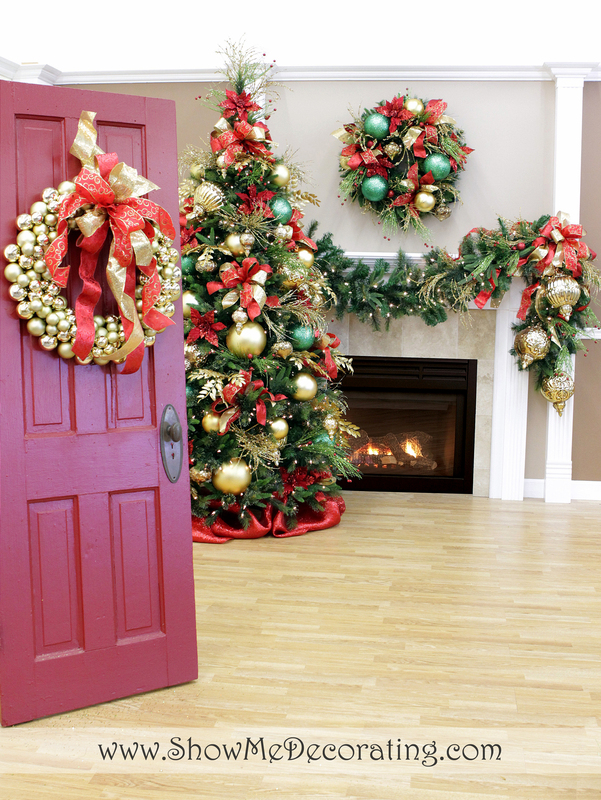 Decorate like a decorator, using the Show Me Decorating step by step instructions from the DVD and guidebook, or the Show Me app for the iPhone or iPad. Gorgeous trees don’t just happen. they take planning, the right ingredients and the Show Me Decorating recipe that anyone can follow to create that special tree your family and friends will enjoy! 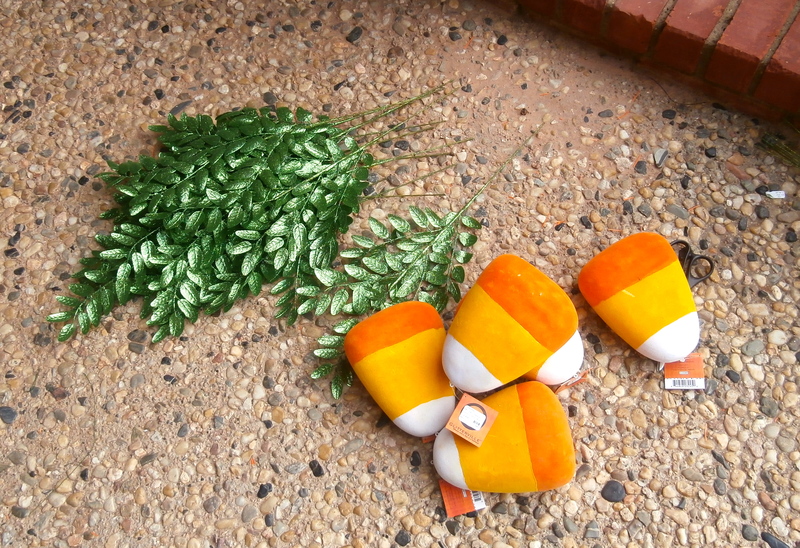 The recipe for trimming a beautifully decorated tree requires a variety of ingredients. Mix all ingredients with fun and serve up to your family and friends a tree designed by you! Plan- Select your decorating ingredients around a theme or color story. 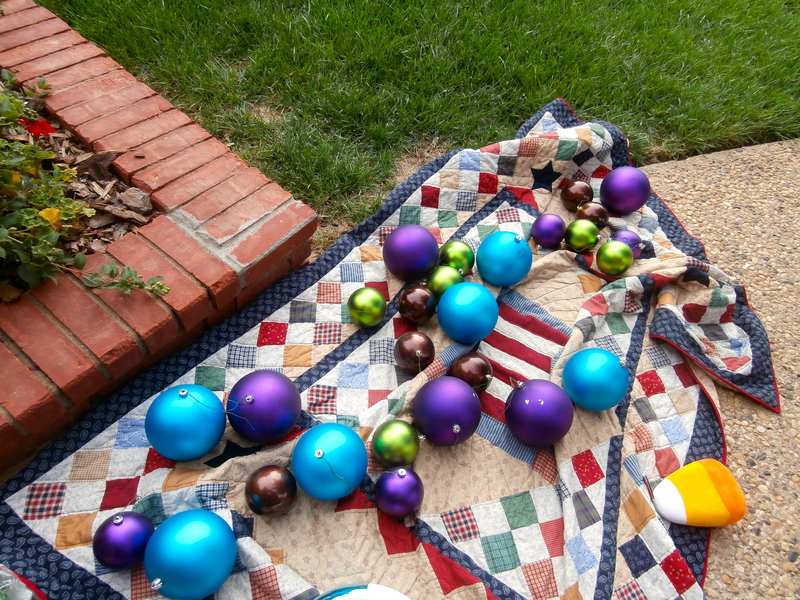 Determine the ornaments you plan to use from your favorite family ones or special collection. 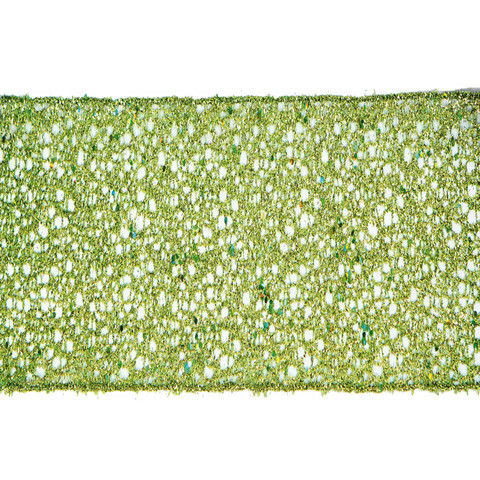 Tree– Select style size and color for focal impact in your home, determine the location, measure ceiling and available floor space, near an electrical outlet. Prelit trees come boxed and ready for easy assembly. 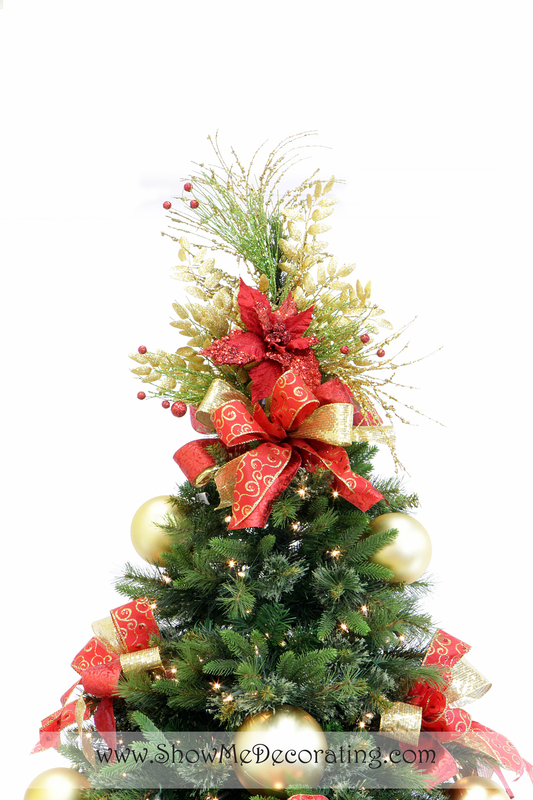 There are many shapes, sizes and colors of Christmas trees to choose from, here are a few examples. Follow the manufactures instruction for assembly. Shape and fluff each section for your desired look. To create a theme tree, decide on main ingredients or color story that fits your room, home décor or favorite collection. 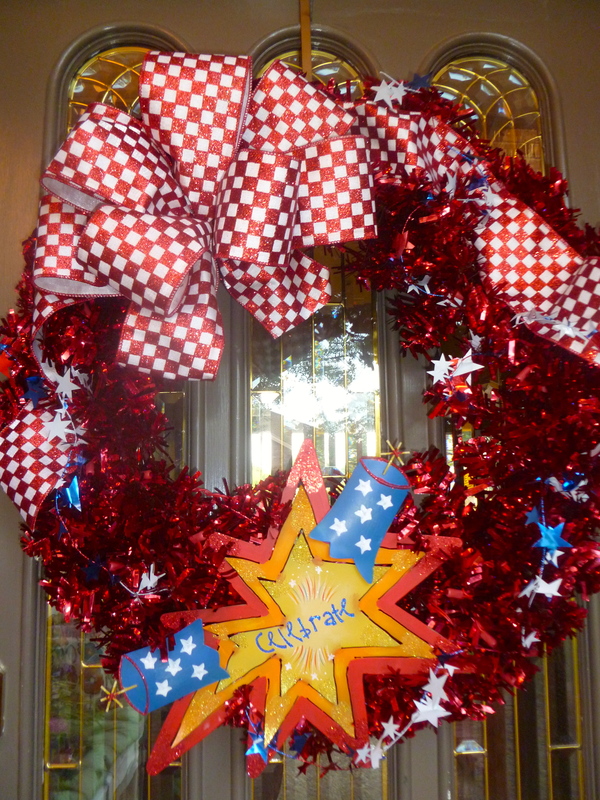 Theme ideas include Gingerbread, Western, Red and Gold, Gold and Crystal, Peacock inspired, or the wild side with Animal prints. The choices are only limited by your imagination and creativity! 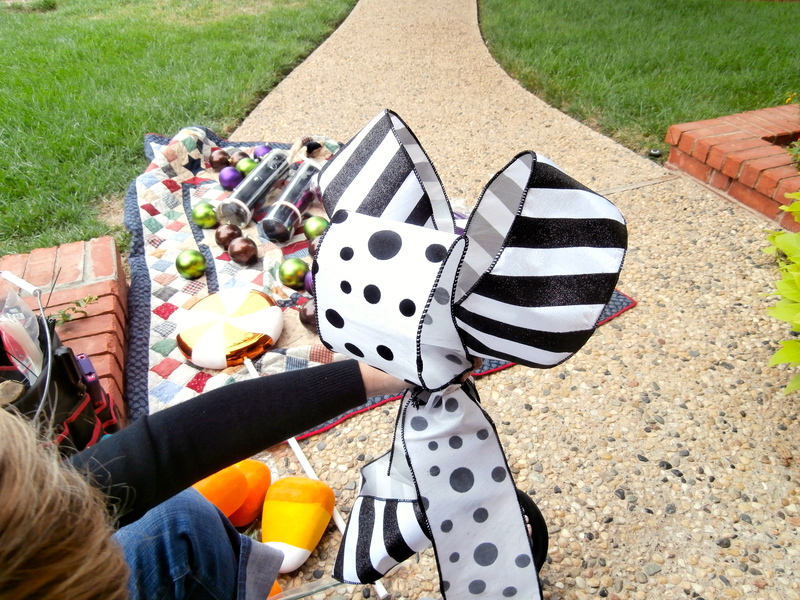 Select the Show Me Decorating 3 key ingredients Ribbon, Balls, and Florals to enhance your theme or color story. Mix in your favorite family collection of ornaments to finish off your Christmas tree! Royal Red and Gold Christmas Tree Theme, tree topper close up. 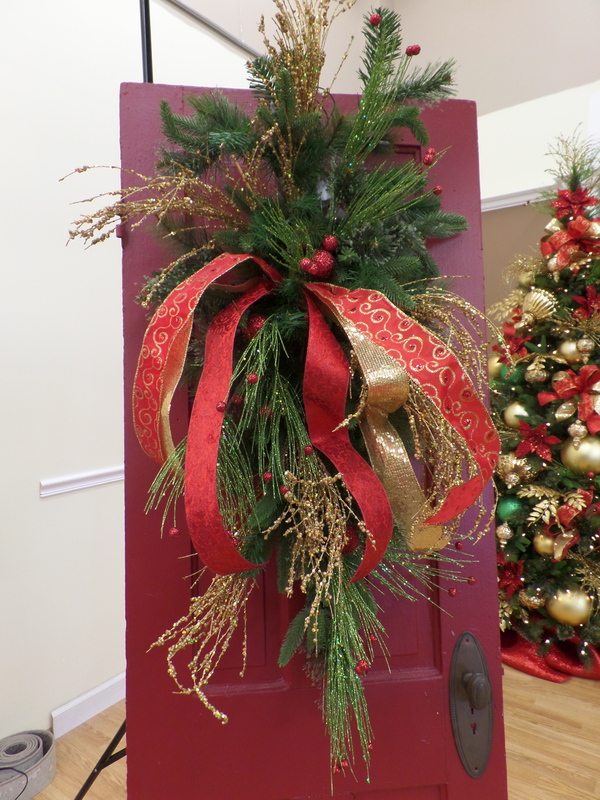 This stunning tree topper is made with 2 bows, 2 red poinsettias and 3 each of 3 florals. 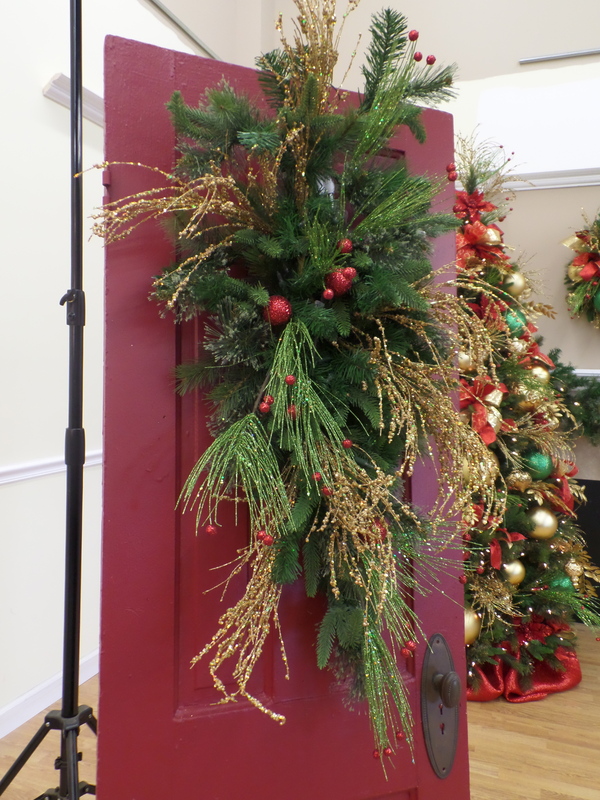 We chose the Gold glitter leaf, the Red and Green spray and the Gold Sparkle Pine Spray. 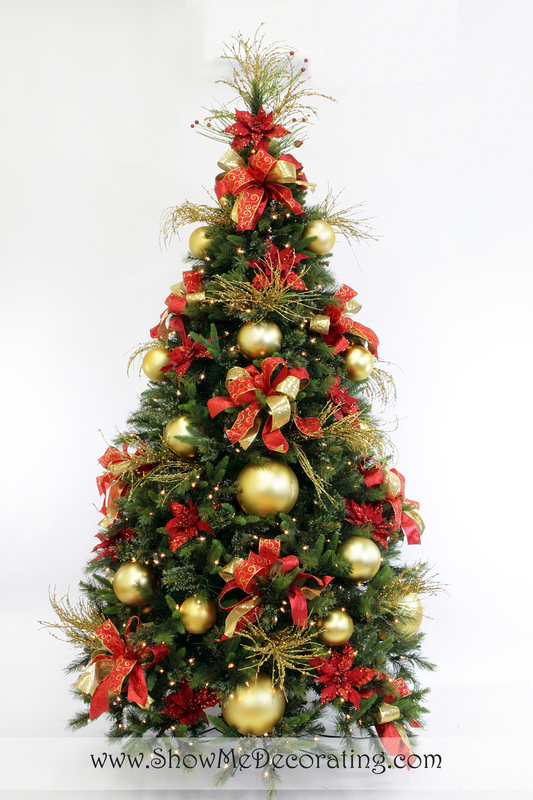 Follow the Show Me Decorating tips for tying a bow and decorating your tree topper. Wow! Show Me a gorgeous tree, and you did it! 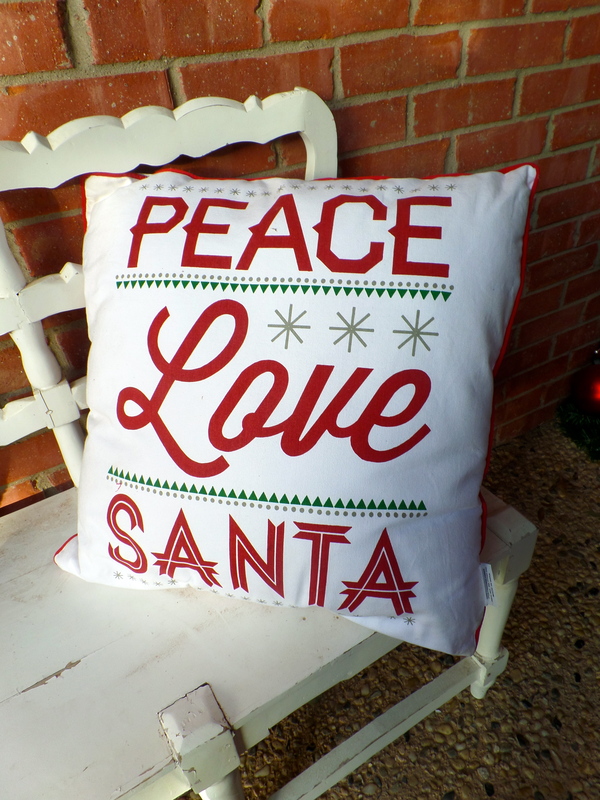 Let your imagination take over as you create a wonderful Christmas for your family & friends with fun! 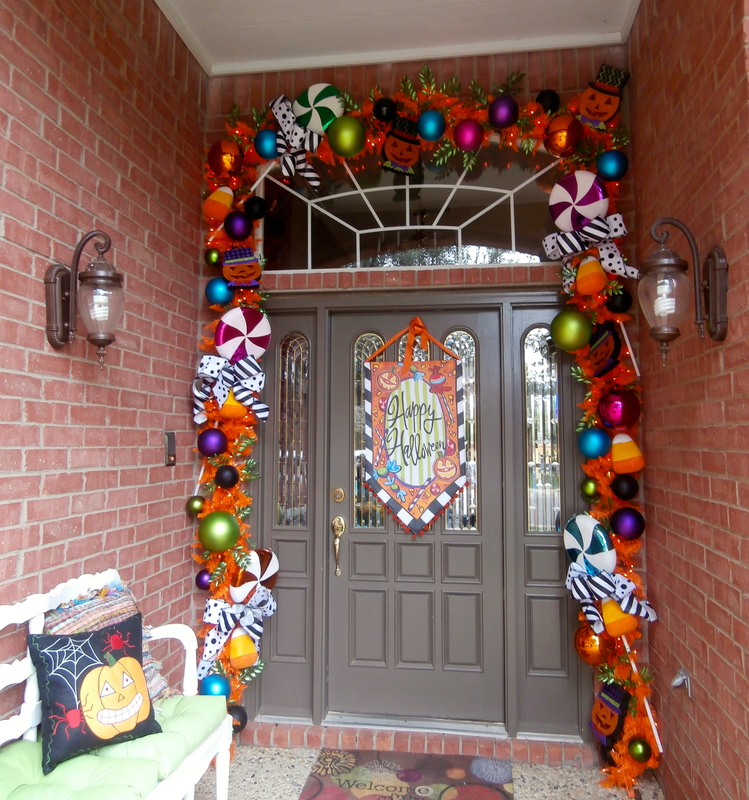 Enter if you dare…..Halloween entry! An entry table is the perfect spot to showcase your seasonal decorating. Keep it simple and easy! 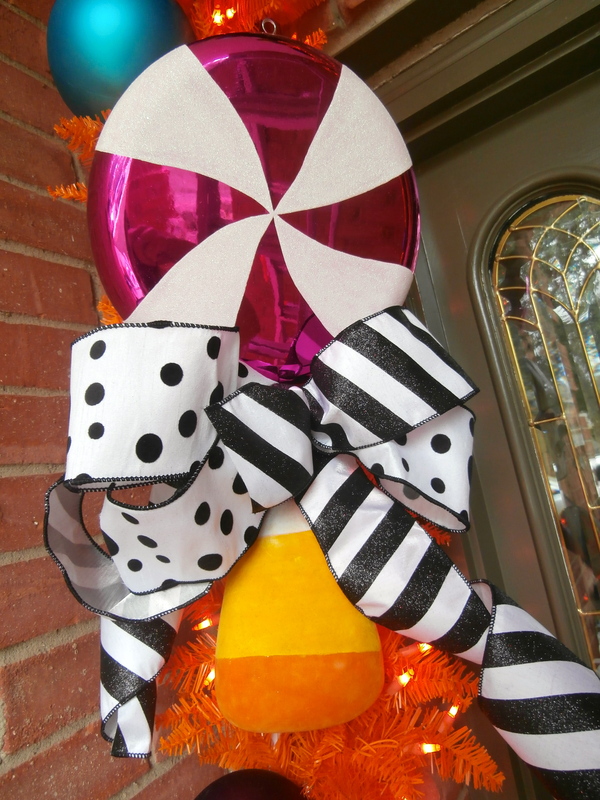 Coordinate color story (orange black and white) and theme (Halloween)from the front door décor! 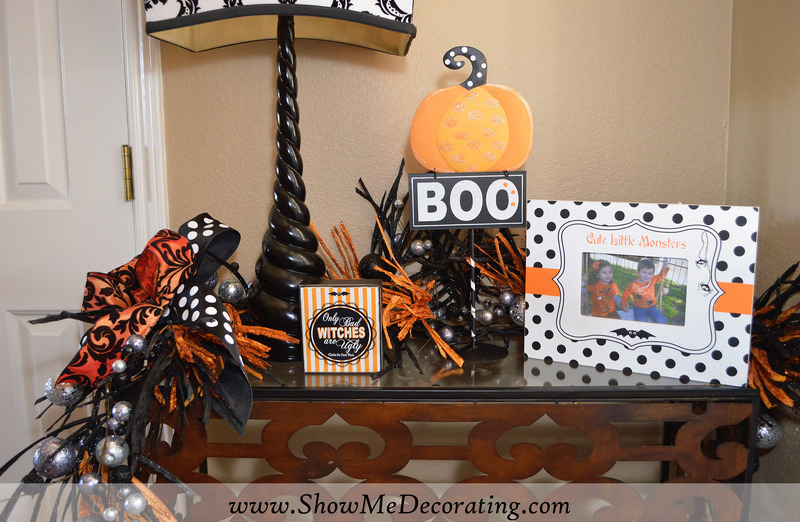 Entry Table is a great spot for seasonal decorating! It’s Halloween at my house! Show Me Decorating Tip: Pick out a focal area to decorate seasonally, entry table, sofa table, top of the piano, island or bar in the kitchen, mantle, buffet, or dining table. Store your decorations in clear tubs, marked with the holiday! 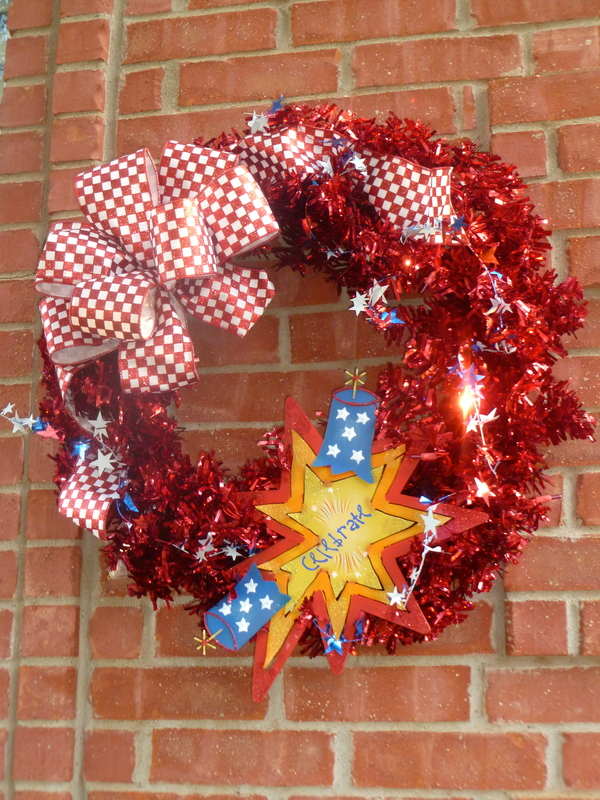 This makes it easy to pull out the Holiday decorations and fill with your everyday decor! Cute Little Monsters frame shows of the grandkids at Halloween. 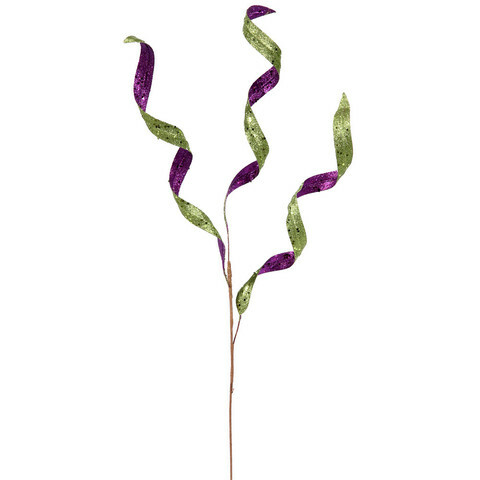 Start with a glitter grass twister garland and Glitter ball garland. 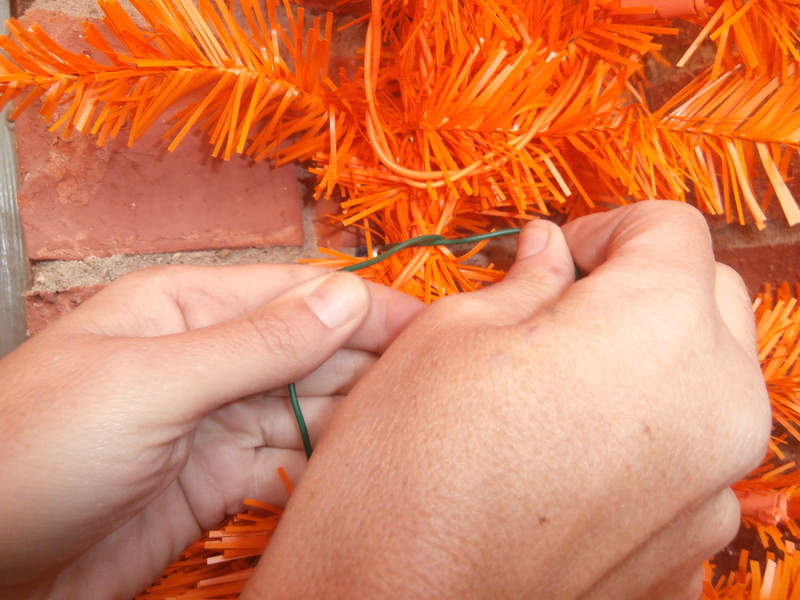 Layer the two garlands together twisting wires to combine. Add in a group of three! Frame shows off the grandkids, cute signs and Metal Pumpkin Boo! 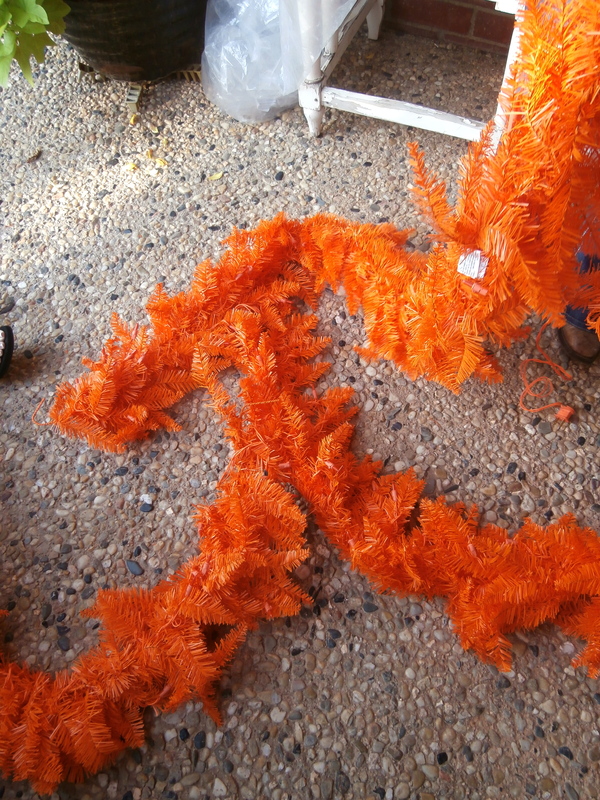 Add in the finishing touch of Ribbon! 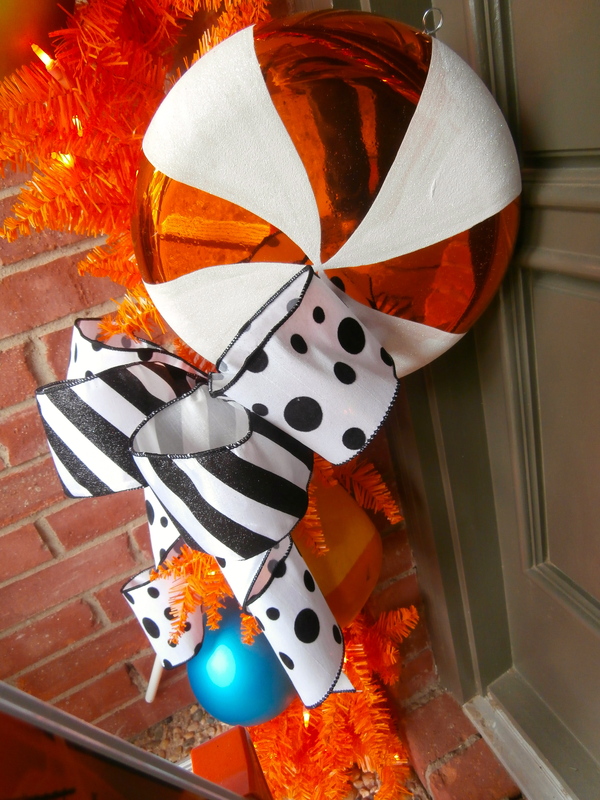 Wired ribbon adds the finishing touch, the icing on the cake the… well just add the ribbon! 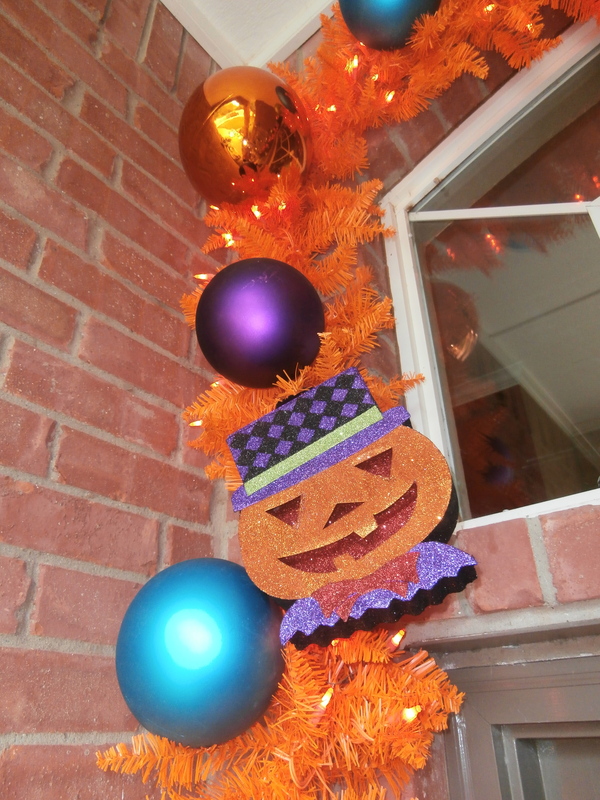 Show Me Decorating Halloween DIY! 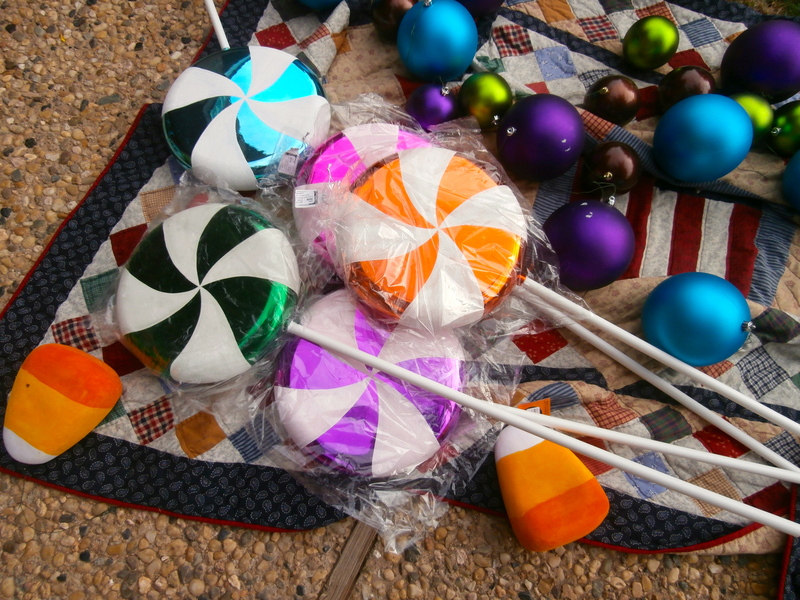 Christmas never tasted so sweet! 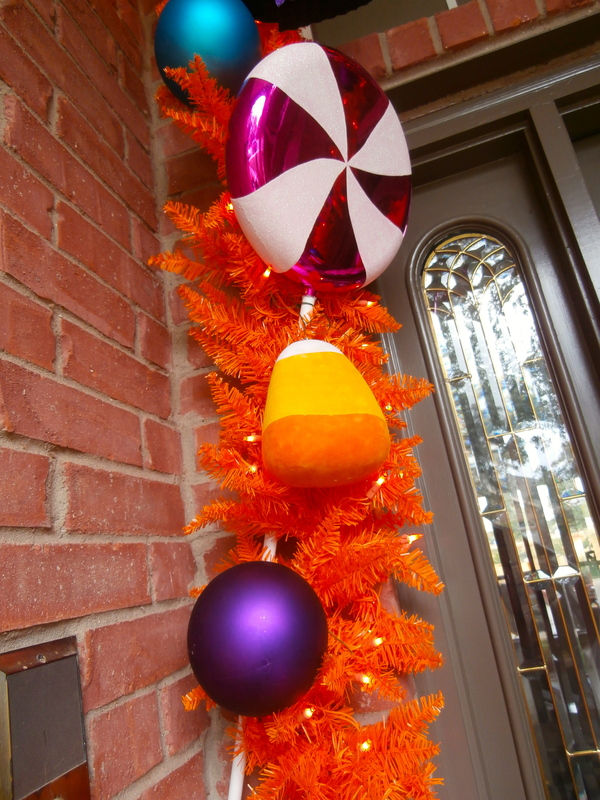 Our colorful Christmas Confection tree topper is so sweet and simple. 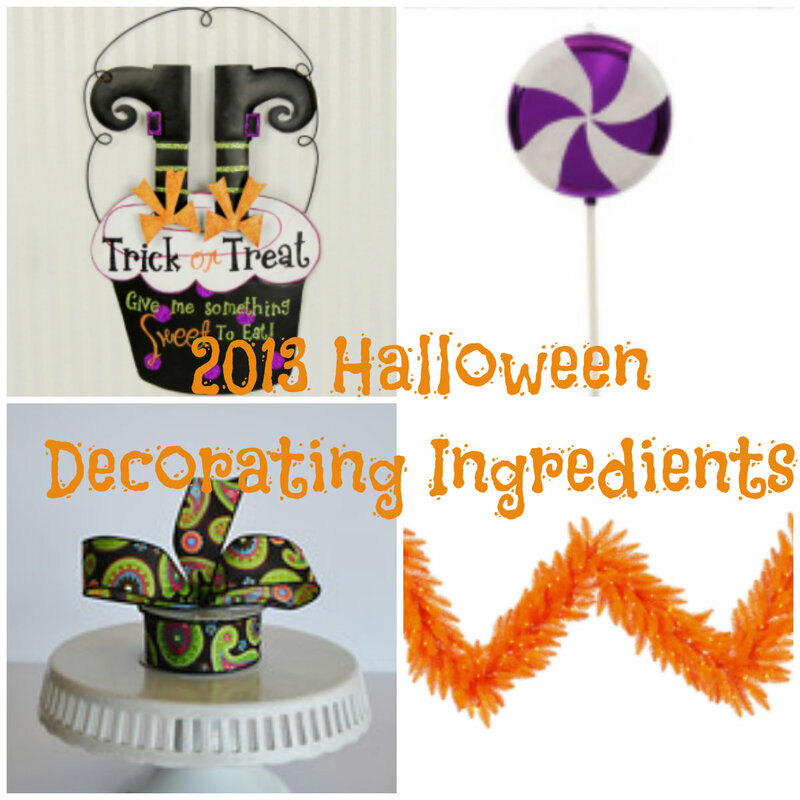 All it takes is the Show Me Decorating 3 key ingredients, ribbon, florals and a focal point. 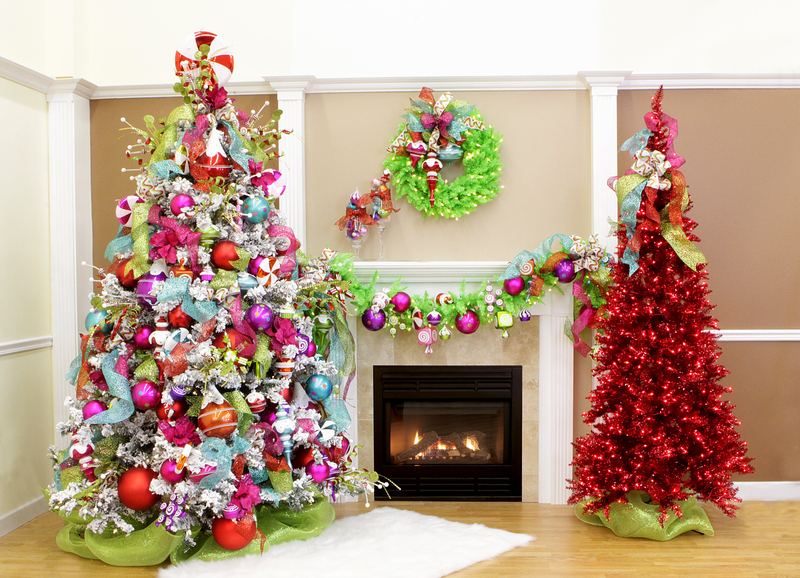 A flocked tree is a perfect backdrop for this colorful candy Christmas Confection tree theme. 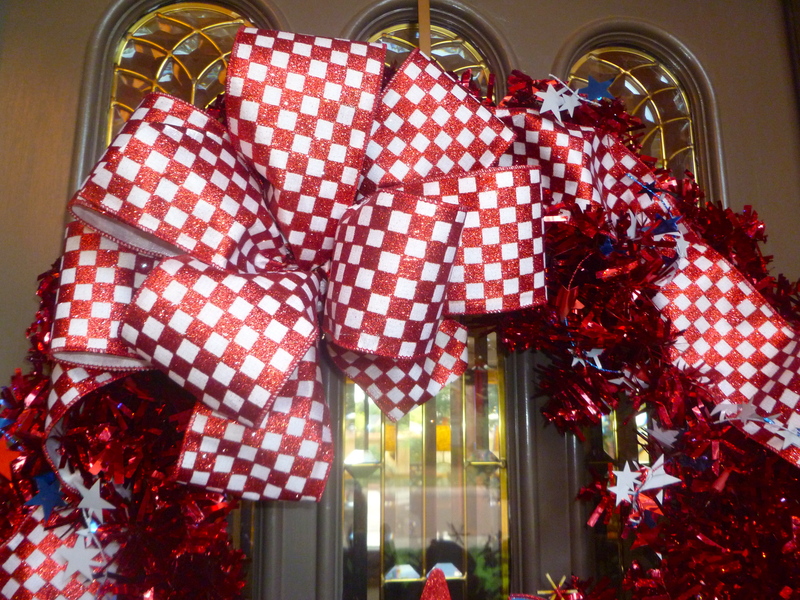 Curly Spray, fun floral for the Christmas Confection Tree theme! 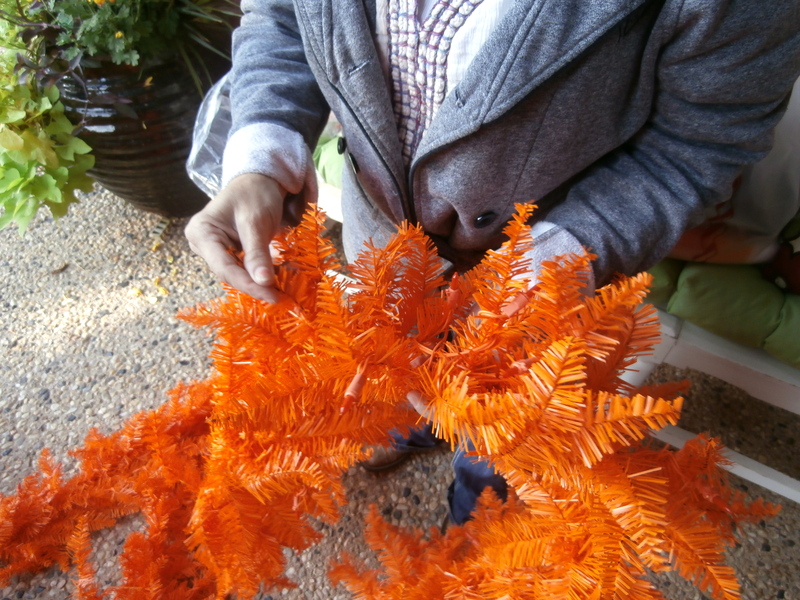 We start at the top of the tree placing 2 bows back to back leaving part of the tree top showing. So many times we see bows perched on top of the tree and we prefer to wire on lower on the tree top and then placing 2nd bow in back. This gives the appearance of a bow all the way around! 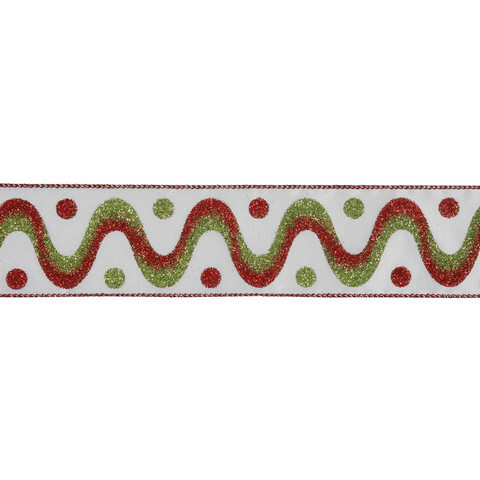 Red and green swirl dot wired ribbon pops against the solid colored glitter mesh. 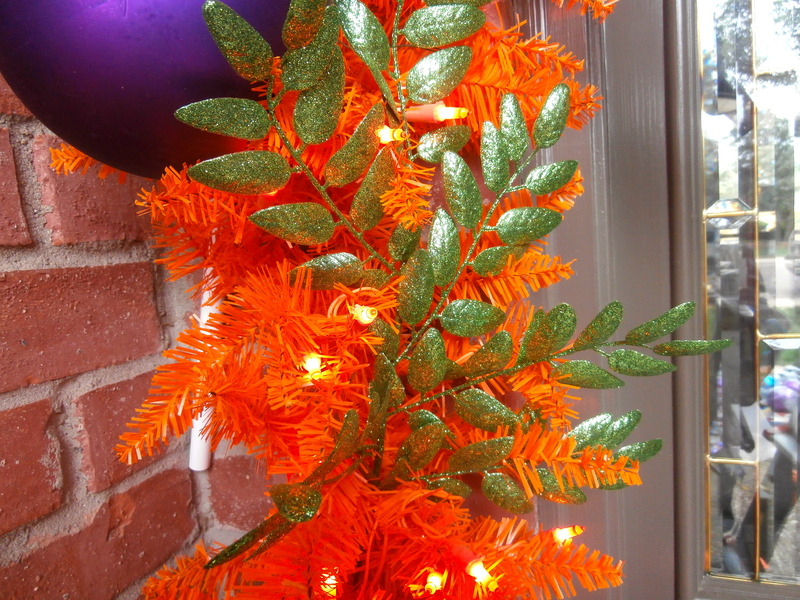 Lime green glitter mesh is a versatile wired ribbon. 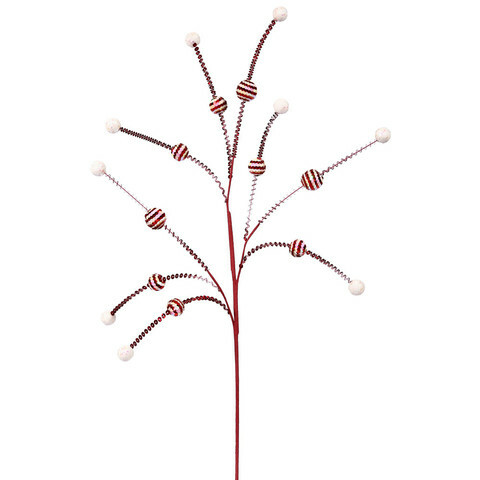 Next place the focal point or tree topper (the Red and White lollipop) and secure with florist wire. 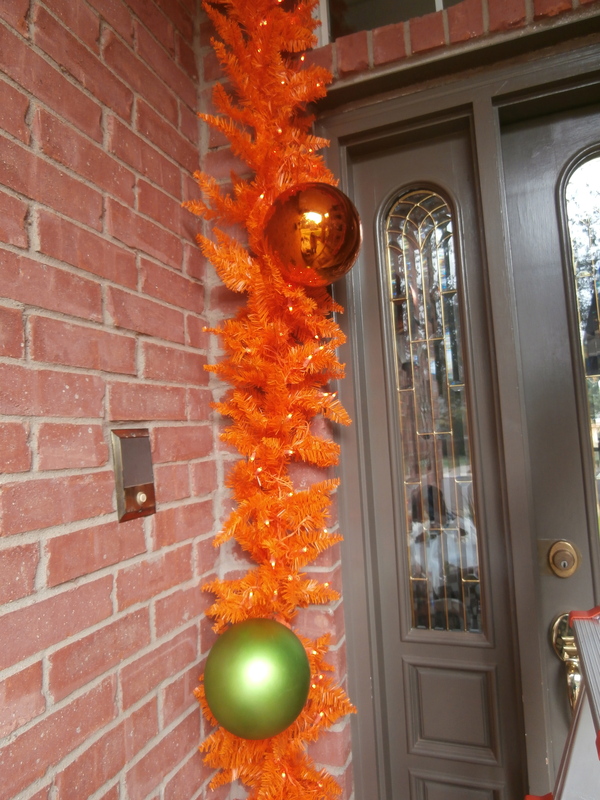 A faux tree, green or flocked has wired branches making them easy to decorate and secure bows, florals, balls and ornaments. However the same decorating techniques can work on a live Christmas Tree. 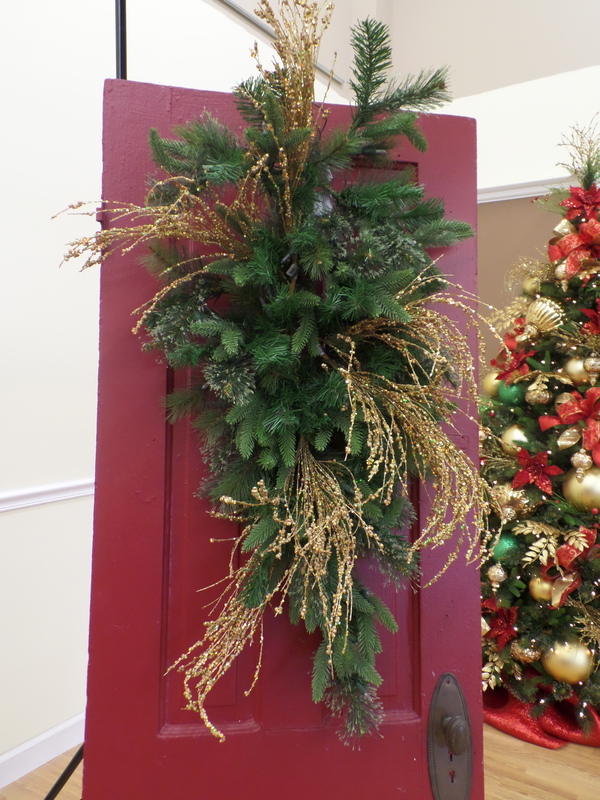 Floral stems complement our Christmas Confection tree theme. 3 different floral sprays are used at the top and placed directly into the top of the tree, no need for wiring on this top. 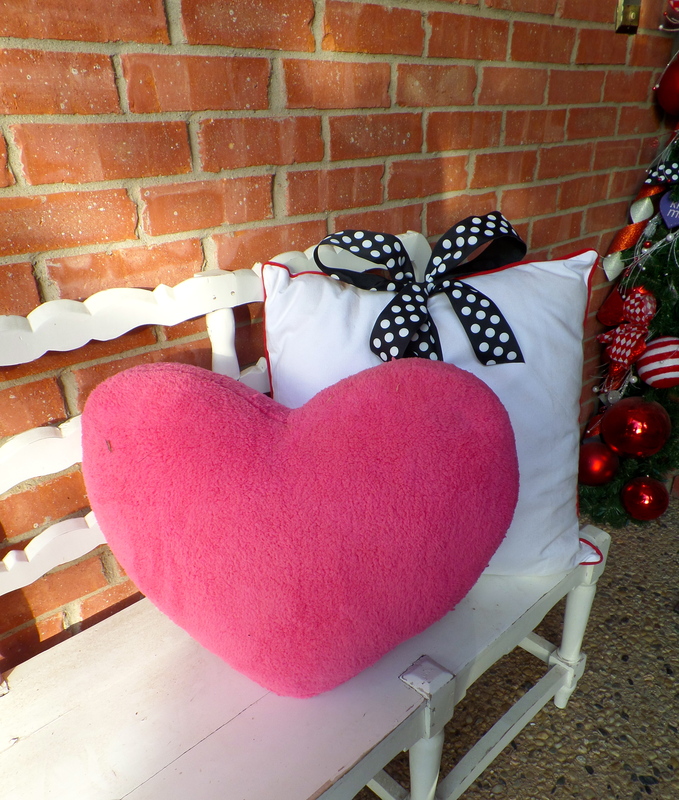 A Fuchsia Poinsettia is added for a finishing touch. 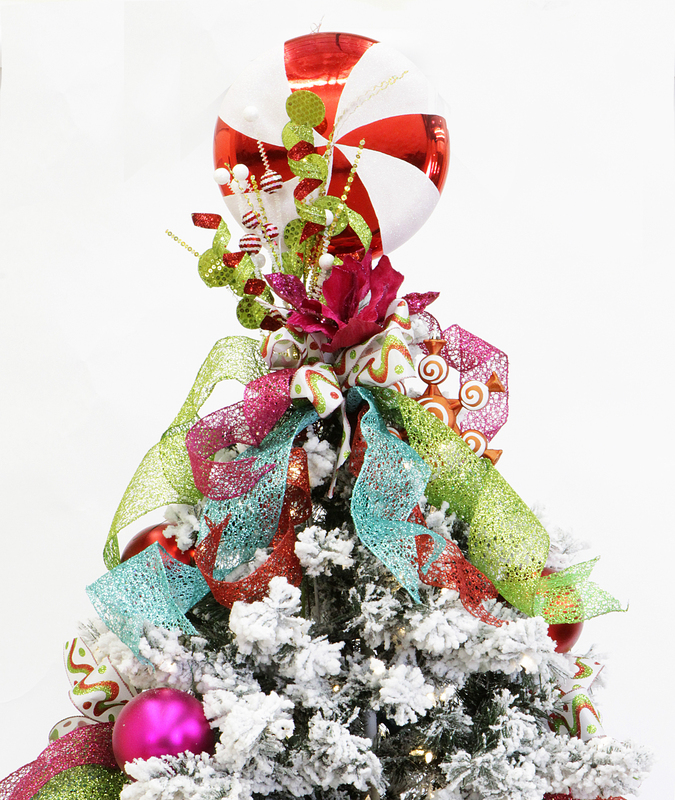 Peppermint Sequin ball spray in Red and white are another sweet addition to this tree theme. 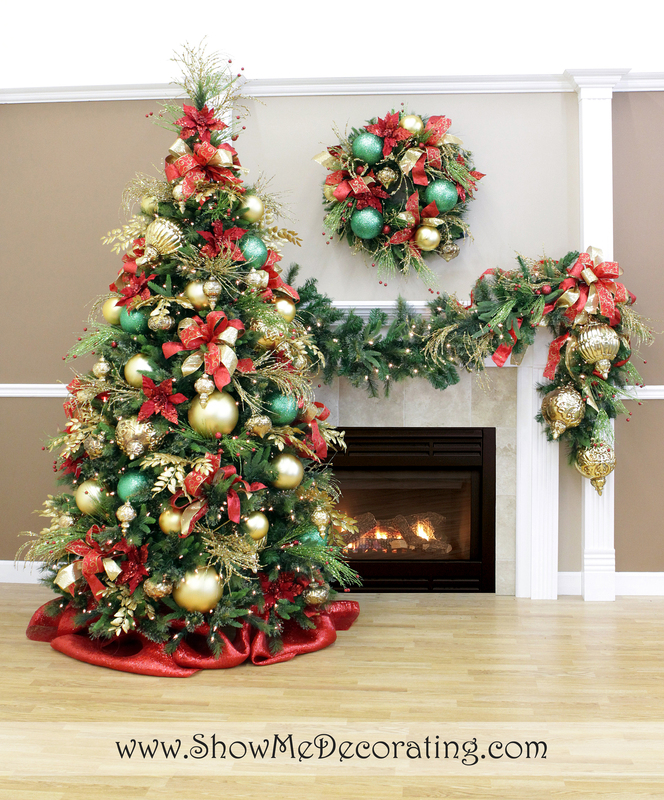 Using our step by step Tree decorating DVD or downloading the Christmas Tree decorating app for your iPhone or iPad, you will gain the confidence and expertise to decorate your largest Christmas decoration the Christmas tree!